Hope you all have been enjoying Booktober so far! As Halloween is quickly approaching, I wanted to keep the fun going with another author interview. I wanted this new book series to take it a step further. I wanted to step into the minds of some of our writer’s this month and get to know their stories on a more personal level. As one who’s intrigued with the paranormal, I had to include Black Flowers, White Lies as part of this year’s Booktober series. 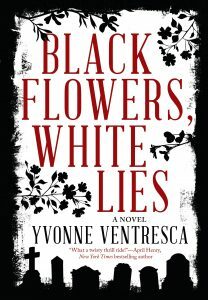 Yvonne Ventresca, author of Black Flowers, White Lies, wrote such a spine-chilling tale of the supernatural world. I got a chance to chat with Yvonne about her psychological thriller that everyone can’t stop raving about. TYF: When did you know you wanted to be an author? Yvonne Ventresca: I was always an avid reader and wanting to work with words seemed like a natural extension of that. I still have notebooks of my poems saved from middle school. Sadly, I threw away my first attempt at a novel written by hand on loose-leaf paper. My interest in writing solidified when I was a teen, and I took my first creative writing classes in college. TYF: Did you make a conscious decision to write a young adult novel? Ventresca: Absolutely! It’s such an interesting age to write for because the teenage years are filled with both huge potential and tremendous uncertainty. YA novels are also what I love to read most. TYF: How do you overcome writer’s block? Ventresca: If I’m stuck, even a small change in routine can be helpful. I usually type, so I try revising on paper instead of the screen. Switching locations (a coffee shop instead of home) can help. When I get to a scene that’s hard to write, I also try to analyze why. I’ve found that sometimes the difficult scenes are ultimately unnecessary – they feel problematic to write because they don’t belong. A lack of research can also make it hard to write. TYF: Black Flowers, White Lies revolves around the supernatural. What inspired you to center the story around a supernatural world? Ventresca: I love reading thrillers so I liked the idea of creating one where strange events lead the main character, Ella, to believe she might be haunted. I set the novel in Hoboken, NJ, where I lived for several years. The city has some ghost stories associated with it and I had fun creating a fictional “Haunted Hoboken” ghost tour using familiar places. TYF: I’ve read that you enjoy writing about things that scare you. In the spirit of Booktober, our new Halloween themed book series, what is your greatest fear and how have you overcame it? Ventresca: I have a phobia about bees. I can’t say that I’ve made much progress in overcoming this — I tend to avoid bee-attracting activities, like picnics and apple picking. This particular fear hasn’t made it into a story (yet). TYF: When it comes to your writing process, do you focus on your characters first then plot, vice versa or is it a mix of both? Ventresca: A mix of both. I usually have a general idea on plot (a girl worries she is being haunted) then think about what type of character would make that storyline interesting. 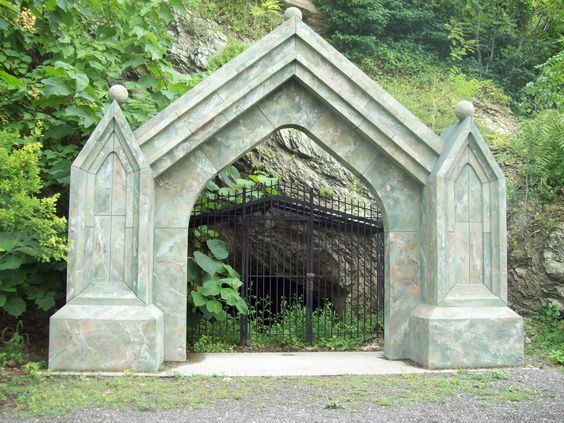 In earlier versions, Ella didn’t believe in the paranormal and her best friend Grace did. I realized it was more suspenseful if I reversed it. In the final version, Grace and Ella’s mom are both skeptics, which provides some interesting conflict around Ella’s beliefs. TYF: Do you have any favorite books that get you into the Halloween spirit? Ventresca: I love Halloween! Anything by Edgar Allan Poe usually does the trick. Also, I have a “Resources for Teen Writers” section on my website. It includes interviews with editors who publish teens, potential places for submission, and links to other writing resources. 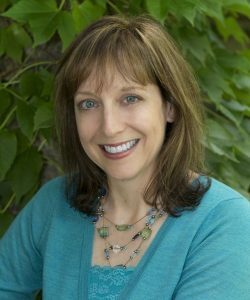 More about Yvonne Ventresca: Yvonne Ventresca’s latest young adult novel,Black Flowers, White Lies was recently published by Sky Pony Press (October 2016). BuzzFeed included it at the top of their new “Must Read” books: 23 YA Books That, Without a Doubt, You’ll Want to Read This Fall. Her debut YA novel, Pandemic, won a 2015 Crystal Kite Award from the Society of Children’s Book Writers and Illustrators for the Atlantic region.